Internet Antivirus 2011 is a fake (rogue) security application. It pretends to be a legitimate antivirus software that is used to detect and remove viruses, malware, worms and trojans but, in reality, is a totally scam. The rogue blocks legitimate antispyware and antivirus tools, hijacks browsers, redirects you to malicious websites, displays numerous fake security alerts and nag screens in order to trick you into thinking your computer is heavy infected. It hopes that you will next purchase the full version of the software to remove all what it found. Important to note, the fake antivirus is unable to detect and remove any infections, so do not pay for the bogus software! Internet Antivirus 2011 is distributed mostly through the use of trojans, infected websites and other malicious software. Moreover, cyber criminals also use various other misleading methods to distribute their bogus software, e.g. Twitter, Facebook and spam emails. Do not fall victim to this fake antivirus tool because it is nothing more but a scam. If you got Internet Antivirus on the system then please follow the removal guide below to remove Internet Antivirus 2011 and any associated malware from your PC for free using legitimate antimalware software. During installation, the rogue will configure itself to run automatically every time when Windows starts. Next, the program will add a few entries into the HOSTS file so that when you open Google, Yahoo or Bing, you will be redirected to various misleading websites. And last, but not least, Internet Antivirus 2011 will create several fake malware files, that absolute harmless, but later during the scan, the fake security tool will label them as worms, trojans and viruses. This malware want to trick you into thinking that your computer in danger. Thus, the scan results are a fake and you can safely ignore them. However, like false scan results above, all of these security messages and alerts are just a fake and has been displayed to trick you into thinking your computer is infected with all sorts of malicious programs. In addition to the above-described, Internet Antivirus 2011 will also block the Windows Task Manager and most antivirus and antispyware tools. As you can see, all Internet Antivirus does is fake! Be sure you keep away from this fake software and never install it on your computers. Internet Antivirus 2011 is a scam that has been created with one purpose – to scare you into thinking that your computer is infected, so you will then purchasing its so-called full version. Do not be fooled into buying the program! Instead of doing so, follow the removal guidelines below in order to remove Internet Antivirus 2011 and any associated malware from your computer for free. Make sure the “Perform quick scan” option is selected and then click on the Scan button to start scanning your computer for Internet Antivirus 2011 infection. This procedure can take some time, so please be patient. 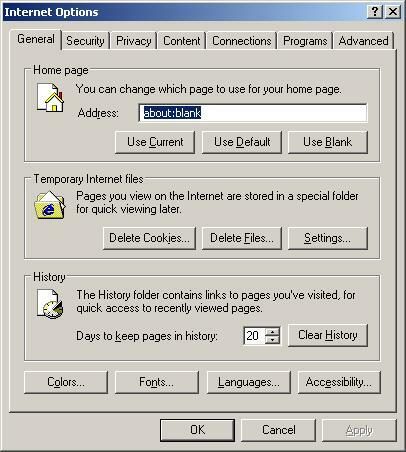 Make sure all entries have a checkmark at their far left and click “Remove Selected” button to remove Internet Antivirus 2011. MalwareBytes Anti-malware will now remove all of associated Internet Antivirus files and registry keys and add them to the programs’ quarantine. When MalwareBytes Anti-malware has finished removing the infection, a log will open in Notepad and you may be prompted to Restart. Thank you for your post… It helped us get it off of an infected computer! Thank you very much for your help. It saved my computer and my mental state!!! I LOVE YOU! SAVED MY LAPTOP!!!!! Either my wife or my sister-in-law downloaded this onto my pc. I unistalled it by doing a system restore and it seems to have worked. Thank so much! tried dl spyware doc but it could not be opened. tried to open taskmgr to delete internet antivirus processes (taught by another website) but cant too! next tried dl registryquick but end up requesting me to purchase the full version.was so troubled abt it! but thanks to ur post!!!! Really helps lots ppl! I came this-close to buying the Internet Antivirus 20ll, but so thankful you have this posted. It really took care of the scarey popups. early xmas present! Thanx! Your guideline works perfectly. Awesome! thank u, It saved my computer. Thank you very, very much! I’m not a gearhead, but am not computer illiterate either. So I just followed your directions–with complete success. Your uninstall instructions were great. Great instructions, great results. You saved me from a big trouble. Thank you really very much. Wishes! Hi, It is Paula again. I just looked and the color of the button I spoke about changes color. the point is to not click on the big colored download button. This is an ad. Go down the page and follow the instructions. Again click on the Malwarebytes link to download the program that can fix the proble. Well done! These scum bags who wrote this software should be arrested for all the time and troubles they have caused. How does this software get on our machines? Hammertime, the rogue is installed on to computer with the help of trojans or other malicious software. Thank you. After trying everything..this worked for me. Steps were missing, maybe because of my newer laptop (the one hijacked by AVD 2011) is equipped with Vista. The screens did not match and some of the questions were not answered. 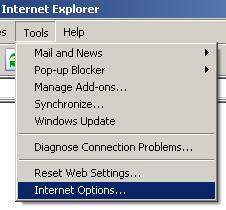 If I clicked on Internes Explorer, it would be blocked. If I typed in Internet Options it would open up, but some information on what to do then was incomplete. I am at a complete loss, not being a real computer wiz. I can and do follow directions well, but yours for some reason were lacking. I’ve used these directions before and they worked great for my laptop. I’m working on another one and I am in Safe Mode with Networking and it will not let me connect to the Internet to change the LAN settings. Any suggestions? 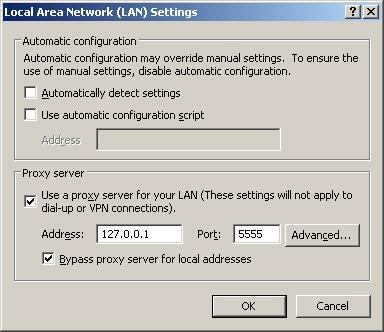 Click OK to save Proxy settings, then Click OK to close Lan Settings and Click OK to close Internet Explorer settings. Now, try to download Malwarebytes.